AKIPRESS.COM - Mongolia traded with 143 countries of the world and total trade turnover reached USD 7.4 billion growing by USD 1.5 billion (26.2%) in the first 7 months of 2018. 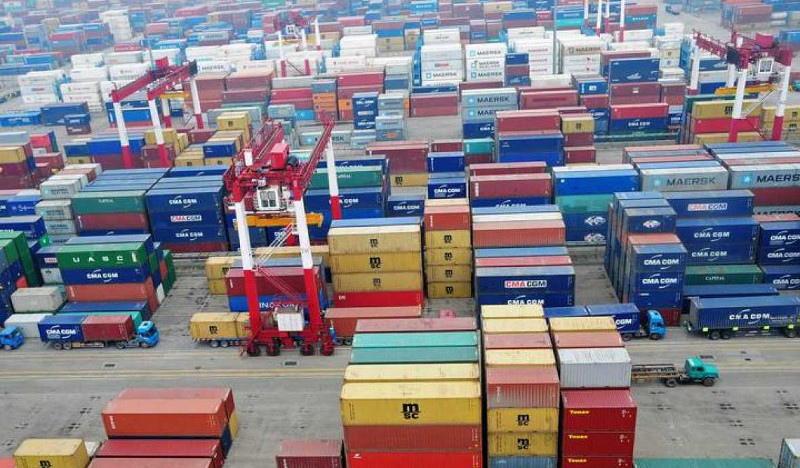 Exports amounted USD 4.1 billion growing by USD 596.4 million (16.9%) due to an increase of USD 614.8 million in mineral products exports, and an increase of USD 55.8 million in textile articles exports. Imports amounted to USD 3.3 billion growing by USD 935.1 million (40.1%) due to USD 182.3 million increase in mineral products imports, especially USD 64.5 million increase in diesel imports, USD 212.1 million in increase machinery, equipment and electric appliances, USD 177.0 million increase in transport vehicles and their spare parts and USD 141.2 million in increase base metals and articles thereof. Exports of mineral products, textiles and textile articles, natural or cultured stones, precious metals and jewellery make up to 95.6% of total export. On the other hand, 66.8% of imports are mineral products, machinery, equipment, electric appliances, transport vehicles and their spare parts and food products.